"Give Us Just 20 Minutes a Week And We'll Give You More Real World, Canadian Specific, Money Making, Real Estate Strategies, Techniques And Tips Than You Can Handle"
That’s Right, We're The Two Guys Recognized As Canada’s Most Effective Real Estate Cash Flow Coaches, And We're Offering You a Chance to Join Our Exciting New Program and Get Our Rock Star Inner Circle Reports Each and Every Week. We'll take you step-by-step and reveal the actual strategies we've used personally and with clients to create over $244,200.00 in monthly income. You'll Want to Act FAST, Because We Have Limited Capacity. Read on to Get the Full Scoop ... and Wait 'til You See What Else We’re Giving You! You buy a property once and it puts money in your pocket month-in and month-out, every month. You create cash flow, equity, tax advantages, and even income for life. It's that monthly income that you receive month after month that is at the heart of why so many people are scrambling to start their own real estate asset base. Unfortunately, the emphasis is on STARTING ... with very few FINISHING. Well, over the past few months word has leaked out. We’ve been quietly helping Canadian real estate investors generate hundreds and thousands of dollars in monthly cash flow. We guess you could say we've helped them "finish" what they've "started." And we were amazed when we added up the monthly numbers of our clients a few months ago. In just 18 months we had helped create over $244,200 per month in revenue. That’s over $2.9 Million a year! Our strategies are all based on what works in the real world, right here "on the streets" in Canada. We have helped everyone from young professionals, husband and wife teams, single parents, and even retired couples acquire positive cash flowing real estate. And now that word has spread, we’re getting calls and emails from all over the Canada. 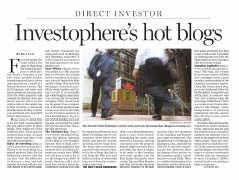 We’ve been highlighted in the Financial Post, Canadian Real Estate Magazine, Calgary Herald, Montreal Gazette, and on Canada.com. You’d like our ongoing advice and inspiration, but many of you don’t live close to our offices in Oakville, Ontario, so you’re not able to access our exclusive “Members Only” materials, guides, advice, and coaching. It’s been bothering us! So we’ve been racking our brains trying to come up with a system that gives you "us" on a regular basis, even if you live on the other side of Canada. And we realize that a one-time teleseminar, home study course or workshop is great for getting information into your hands, but it’s NOT enough to keep you on course. And we should know, we’ve spent tens of thousands of dollars on audio cassettes – yes, cassettes! 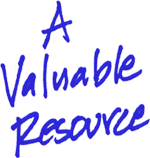 – CDs, Books, Binders, Forms, Clauses, Courses, Check Lists, VHS Tapes, and DVDs that we’ve combed through over the years but not put into action. We’ve learned that that ongoing support, continued contact, regular dialogue and consistent communication is much more valuable than a one time jolt of information. "The Key to Long-Term Growth and Achievement is Being Able to Stay Informed and Motivated on a Consistent Basis"
And we’ve discovered one of the best ways to do this is by joining a Mastermind Group. We didn’t realize the power of a Mastermind Group until we joined two of our own. We were able to create explosive growth in our lives, our income and our businesses by being part of them. …but first we should probably start by explaining what a Mastermind Group is, and how you benefit. We cannot take any credit for the mastermind concept, but as we mentioned, we can tell you personally that Mastermind Groups are extremely powerful. We first learned about the Mastermind Principle in Napoleon Hill’s phenomenal book, “Think and Grow Rich.” Napoleon Hill described this Mastermind Principle as the "Coordination of knowledge and effort, in a spirit of harmony, between two or more people, for the attainment of a definite purpose." Why is a Mastermind so Powerful? When you connect with even just one other real estate investor who is focused on goal achievement, your ideas don't just double -- they multiply! An explosion of energy and enthusiasm is created. And that leads to taking massive action. The real estate investing strategies that we personally use, and the stories of how other people have used those exact strategies to create hundreds of thousands of dollars in steady monthly cash flow for themselves. Ongoing consistent communication and updates in bite size pieces. We found getting information in a 2-day boot camp is like drinking from a fire hose. Smaller “spoonfed” pieces are much more effective. Strategies that you can actually apply in the real world. Not just a bunch of high level theory and concepts that look good on paper but are next to impossible to implement because they lack the critcal details necessary to take action. Input from other tested experts and professionals who graciously share their wisdom and experience for everyone’s benefit. Most real estate investors wander around cluelessly, following the advice of professionals (Realtors, Lawyers, Accountants) who have never invested, “gurus” who have never invested a dollar in Canada, or well intentioned, but often misinformed, friends and family. How do we know? Because that’s exactly what we used to do! It took us years to realize that most of the people we were getting advice from were giving us bad advice. When the foggy haze of misinformation lifted it became obvious that most real estate investors need someone to keep them up to date with what's working, right here, right now. Up-to-the-minute, blow-by-blow advice. And that's what you'll get with our Rock Star Inner Circle Gold Membership. You’ll build a foundation of knowledge that will allow you to take command of your decisions. Hundreds of our real estate investing clients supply us with reports on what’s going on as they apply our methods. And private mastermind meetings with our peers in the real estate profession ensure successful integration of new tactics with sound principles. Not only do we work with clients and coaching members every day, we read dozens of newsletters and books, listen to countless hours of interviews and attend more seminars than almost anyone we’ve ever met. Together we’ve spent well over $87,000 (and counting!) educating ourselves and staying abreast of the latest trends. And we continue to spend more every year. We have access to knowledge sources that most people would die for, and every month we’ll share this information with you. You get the benefit of our combined years of experience and effort. We developed the Rock Star Inner Circle Reports Membership to give you the knowledge necessary to acquire and build your own asset base of real estate ... whether you are a beginner or an experienced veteran. Every week for one full year (52 weeks) you'll receive an email with a special download link for that week's step-by-step lesson. Included in each lesson is an assignment for you to complete so you'll make progress every week. We consistently hear from investors who are "stuck" reading books and attending monthly seminars but making zero progress towards their goals. Instead of simply publishing this information in some book or quick coaching program we're making it available to you week after week in action-sized portions so you'll actually get results. You don't need another book or binder to clutter up your shelves (or basement!). What you need is a weekly "here's what you do next" action step to complete. What you need is someone to show you how to get started and to stick with you along the way week after week so you don't stall along the way. And that's exactly what we're going to provide you when you join the Rock Star Inner Circle. Our Objective? To Show You How to Make Investing Simple so that you can Create Cash Flow and Build More Personal Freedom Into Your Life. It's Your Life. We Believe You Should Live it On Your Terms! 1. Short And Easy To Digest. Each lesson is only 2-5 pages in length and contains nothing but meat. The biggest challenge we all have these days is "information overload" where we simply have too much information to digest. Each lesson is purposefully brief (but thorough!) so you can quickly read and put it into practice. 2. Includes An Assignment To Complete. You'll have an assignment to complete at the end of each weekly lesson. Instead of giving you the usual "this is what we've done" stuff, we're giving you "this is what you do" stuff! Each week there will be some easy-to-implement action steps to complete before moving on. 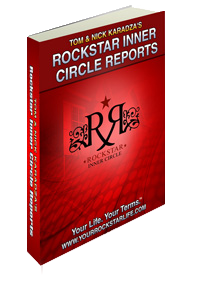 2-5 Page Rock Star Inner Circle Report Each week the Rock Star Inner Circle Report is packed with property strategies, opinions, marketing tips, step-by-step guides and lessons from other Canadian investors. Every lesson builds as your knowledge grows. In the beginning we'll discuss some basics to quickly establish the proper foundation. From there, we'll move into intermediate and then advanced tactics for multiplying and maximizing your investing. Beginners won't get lost from the start and experienced investors won't get bored as we'll throw in some golden nuggets along the way for the veterans in the crowd. 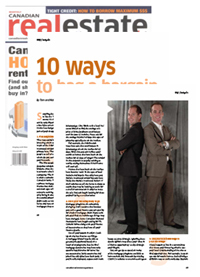 "My first investment property was a huge learning curve for me. Working the numbers to obtain the maximum positive cash flow was what I have learned most of all. Listening to the CD's included in the monthly newsletters, assisted me in making the right decisions, and is a tool I utilize on a daily basis." "The entire newsletter is worth it's weight in gold and the most useful part for me is reading the stories of how other people have accomplished their goals. Not only does that give me real world knowledge but it gives me the confidence to continue growing my own portfolio. You just don't find this kind of stuff anywhere else. Keep it coming guys!" While most books and investment groups (and even some super high-priced coaching programs) pile on a bunch of information and leave you to figure out how all the pieces fit for yourself, that isn't how things are set up with this program. By giving you information in bite-sized pieces for a full year (52 weeks!) you'll be more likely to actually implement some of the strategies ... and you'll be more likely to see real results for yourself. 5. Tested Canadian Specific Strategies. We are so tired of the same old high level real estate information with no "on the streets" specifics. We've found it most useful to see actual examples and case studies of what is working right here in Canada ... so that's what we're going to share with you as a Rock Star Inner Circle Gold Member. "There's Nothing Like The Rock Star Inner Circle Reports Membership Out There"
There are lots of newsletters and memberships out there. Many of them are good, but NONE specifically created for Canadian real estate investing professionals, by guys working in the real estate industry right now, with our track record of success, coaching, consulting and creating winning cash flow properties. There's NOTHING you can compare to the Rock Star Inner Circle Reports, because....nobody's set out to create what we've created, succeeded at creating over 100 cash flow producing properties in an 18-month period and continued to do it ever since – with Canadian investors of all different skill and experience levels. Sure, you can find generic real estate investing info almost everywhere … except here! This is on-target, real-world-tested, Canadian specific, principles, tactics, tools, strategies and secrets that are instantly applicable to what you are doing. Generate more cash flow from your properties than you ever thought possible. Attract all the tenants and buyers you need using easy and straightforward marketing tactics both online and offline. Quickly decide what types of properties work best in different communities – saving you years of frustration and lost profits. Create systems to put your investments on auto-pilot so you can live your life on your terms. Learn from other Canadian investors who share their step-by-step accounts of how they faced their fears and took action. Put advanced strategies into action on your investments to really crank up your success. Negotiate the best possible terms for yourself and get Seller’s to pay for things you never thought possible. Get things done faster with more success so that you stay motivated. Understand the principles of investing so that you can feel 100% confident with your decisions. Learn marketing principles and strategies that are the key to successful investing. We're even going to share real-life examples with the exact results. Effective marketing is by far the most overlooked component to successful investing. How is this sounding so far? Pretty good right? You need to absorb killer information by reading AND by hearing, so once a month you’ll receive a new audio success interview that delivers real ‘insider’ strategies right from the mouths of real estate investors and professionals who are at the very top of their game. We’re frequently told that these audios alone are worth ten times the small fee for our Rock Star Inner Circle Gold Membership. Along with the weekly Rock Star Inner Circle Report you’ll receive a jam packed interview with a leading real estate investing expert..
And not only will we be sharing our own personal real estate investing strategies and tactics, but we’ll be interviewing experts in all areas of investing: multi-unit apartments, public storage, single family homes, student rentals, office buildings, strip malls, Canadian mortgage specialists, insurers, lawyers, economists, accountants, home inspectors, marketing experts, and even TV personalities (that have proven track records of course!). Word is getting out about this membership and we have people banging at our doors to share their insights with you. We get to screen and cherry pick the best and the brightest of the lot. And sometimes the names you have never heard of are the most impressive wealth builders of them all. We’re sure to get all the top professionals because we’re interested in learning from them too! Some of the very best calls are the investors we interview. People just like you who have built thousands of dollars a month in steady cash flow and hundreds of thousands of dollars, even millions, in equity. We’ll be interviewing and talking with them all. We’ll pick their brains and get them to share their very best stuff. Things like their typical day, how they negotiate deals, where they find the best properties, how they finance them, how they market and what a typical day in their lives is like. Priceless stuff. We’ll help you stay motivated and keep thinking BIG, because you’ll be hearing from us via audio every month! FREE BONUS: We're Throwing In Valuable Surprises Throughout the 52-Week Program ... Including Phone-In Consultations With Us! Sometimes you need a jolt of energy to get you moving! That's why over the couse of the 52-weeks we have some surprises waiting for you. It's easy to get busy and put things off, we've done that ourselves. So we know how important it is to have someone looking over your shoulder keeping an eye on things. Maybe it's some timely advice that we'll have for you. Or a bonus audio interview that will inspire you to stay on track. We'll be sure to keep you on your toes with these unannounced valuable surprises. As Part of Your Rock Star Inner Circle Gold Membership You'll Receive Unannounced Surprises Along The Way - Including Phone-In Consultation Times With Us! And we know how important it can be to have a support system to turn to. When we were starting out we had to fumble through everything ourselves. Even the big name instructors who we had paid thousands of dollars to for weekend boot camps disappeared into thin air on Monday morning. We are constantly told by investors that the thing they lack is someone to turn to for quick brainstorm sessions, or to bounce ideas off of. Well, we think we’ve solved this problem for you. You see … we’re going to open ourselves up. People who know us will tell you that we guard our time like vicious attack dogs. But we also realize how important it is to have a place to go when you need to discuss an opportunity or a challenge. So we'll surprise you with special live call-in times where you can get an opportunity to have a 15-minute live phone consultation with us. We’ll announce the days and times via email as you progress throughout the 52-week course. As you can see we're covering all the bases with the Rock Star Inner Circle Gold Membership. "Like many, many meetings before, we were told "if you do this," and "if you do that," all the riches and good stuff will follow. Unlike other memberships, we actually believed in what Tom and Nick were saying. "What a concept!" Actually helping people get something for their money as opposed to flushing it all down the toilet. While at the same time, increase our Cash Flow. A true Win/Win scenario! The monetary benefits that come with being in the membership speak for themselves. " We've spent a lot of money on our real estate education. And we know how things work. We could easily offer some kind of high-priced coaching program that sells for $2,997.00. And, by doing that, we'd make a lot of money. But, many good people wouldn't be able to take advantage of the offer simply because it wouldn't be in their budget. Listen, we know. We know what it's like to run around from seminar to seminar. We know what's its like reading U.S. reports, books and strategies and trying to tweak them so they stand a chance of working here in Canada. We know what's its like to buy the promises of high priced super gurus on "easy" installment plans. We know what its like chasing deals instead of building wealth. We've been there and we know. It's for that reason that we're not going to charge thousands of dollars that we really could charge for this program. Instead, we're going to make it a no-brainer, and we're going to make it downright affordable for every budget. Monthly Membership, including the weekly 2-5 Page Rock Star Inner Circle Reports, plus the Bonus Monthly Audio Interview CD series, plus the unannounced surprises, including the bonus call-in times with us is $27.00 per month. While this program is 12 months in length, you can cancel anytime you choose. If at anytime you want to cancel, just give us a call at 905-338-6964 x210 (ask for Samantha, our Office Manager, she's really friendly!,) or fax us at 905-338-2727, or email support@YourRockStarLife.com, and we will immediately cancel your Rock Star Inner Circle Reports Membership, no questions, no hard feelings. 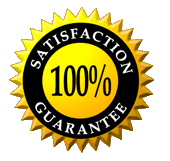 If you are not 100% happy we would not want you to continue. And we'll go one step further ... if at anytime during the first 8 weeks you want to cancel we will give you a full refund. We stand behind our materials and know you'll be completely thrilled with the content and the knowledge you gain. Just contact Samantha in our office and she'll refund you if you are dissatisfied for any reason. The first reason, we couldn’t find anything like this when we started investing. We made a commitment to ourselves that we would start a membership that we would be proud to represent and proud to be a part of – one that is by Canadians, for Canadians. A program that doesn't just dump a bunch of information on you lap but walks you through the steps and gives yout the knowledge to make your own sound investing decisions. The second, we’re so sure that you’ll be blown away with what you read and hear that you’ll want to stay on board with us. You’ll be amazed at how quickly you recognize literally dozens of opportunities (and thousands of lost dollars) you’ve been missing out on. And again, you can cancel any time, but once you see what you’ve been missing out on we’re positive you won’t want to. We have placed a cap on the Rock Star Inner Circle Reports Membership at 250 members. Once these initial memberships have been sold we will close the doors and no more memberships will be available. And this will not take long. Since we've been getting national press, we have a growing list of investors across Canada that have been literally hounding us for this type of information and knowledge. Ask around. We do what we say we'll do. And the reality of the situation is this: We would rather have a core group of committed members than open this up to the entire general public. We are looking for the "serious few" instead of the "wandering masses." Many investors have been shut out of our Income for Life VIP program because they didn't believe us when we said, "There are limited spots and when they're gone - they're gone." Many have come to us half way through the year kicking themselves for not taking action. So don't think we're bluffing here, we're not. If you want to join the time to do it is right now before the big SOLD OUT sign goes up on the box below. Surprise Bonus #1: The actual Agreements we use for all sorts of properties and strategies, including Rentals, Student Rentals, and Option Agreements. Surprise Bonus #2: And the Spreadsheets we use to calculate cash flow for Residential and Commercial properties. That way you can see exactly what we use ourselves and you'll be able to use our cash flow spreadsheets as your own. 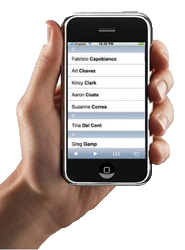 Or, you can use them as a starting point to create your very own custom tailored versions for yourself. To activate your Rock Star Inner Circle Reports Membership, sign up now below via our secure online registration form. Yes, Tom & Nick, I want my 2-5 page weekly Rock Star Inner Circle lesson! I have read and agreed to the legal disclaimers below. Weekly 2-5 Page Rock Star Inner Circle Reports for an entire year, jam packed with practical investing and wealth building strategies. Bonus: Monthly Audio Interviews sent straight to my email box every month (12 Months) with a new expert sharing lessons, experiences and stories that I can immediately leverage for my own benefit. 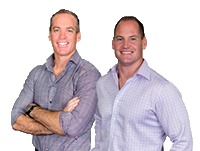 Bonus: Extra surprise bonuses throughout the 52-week program including exclusive call-in times to have the opportunity to talk with Tom & Nick. "Last Minute" Bonus: At specific points throughout the 52-week program you'll receive the agreements that Tom & Nick use for different properties including rentals, student rentals and options AND the cash flow spreadsheets they use for both residential and commercial properties! 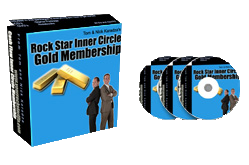 I understand that I'm investing in the "Gold" level of your Rock Star Inner Circle Reports Membership at NO RISK whatsoever, because I can cancel my membership at anytime. And if I choose to cancel with the first 8 weeks I am entitled to a full refund. I'm assured this online transaction is 100% secure and after my information is received I will get an electronic receipt and instructions shortly afterwards. P.S. There’s only one way to grow as an investor and as a person, and that’s by constantly exposing yourself to new ideas, people and experiences and then taking action on them. We’ll do the first part and you add in the second. P.P.S. Remember, if you’re not amazed with our Rock Star Inner Circle Reports Membership you can ask to cancel at any time … just email, fax or call. But you won’t know what you’re missing until you get started so grab your spot now as we have a strict limit to the number of members we are accepting. P.P.P.S. Look, if you’re relying on “conventional wisdom” or what you read and hear about in the news to build your assets and wealth … we’ll put this bluntly… you’ll be crushed out there. We know because we see it all the time. It’s the blind leading the blind in most cases. We’ll share with you the strategies and more importantly help you gain the knowledge required to make confident decisions for yourself. It's time to take control of your life. Remember, it's your life. Live it on your terms. © 2009 Karadza Publishing Inc. All Rights Reserved.